Ellen R. Auster is Professor of Strategic Management at the Schulich School of Business, York University. Prior to joining Schulich, she was on the faculty at the Graduate School of Business at Columbia University in NYC and Visiting Faculty at the Amos Tuck School of Business at Dartmouth in Hanover, New Hampshire. She earned her B.A. from Colgate University and her PhD from Cornell University. Ellen has more than 25 years of experience as an academic and consultant specializing in Stragility®: the art of strategic transitions, transformations, and turnarounds. A multiple research and teaching award winner, Ellen has been honored with the global, lifetime achievement Academy of Management Distinguished Educator Award, research awards from the Academy of Management and Management Science, and several teaching awards including the Kellogg/Schulich Executive MBA Professor of the Year. She has published widely in academic and practitioners journals and written four books including her latest, Stragility: Excelling at Strategic Changes published by University of Toronto/Rotman Press in 2016, with Lisa Hillenbrand. 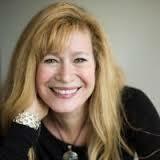 Lisa Hillenbrand is a brand building and organizational change consultant at Hillenbrand & Associates. For 27 years she was Director, Global Marketing at Procter & Gamble, she led the team that “re-engineered” P&G’s company-wide brand building approach, creating the Brand Building Framework. She also led work on penetration and trial, value, initiative success, diffusion of innovation, word of mouth, habit change, influencer marketing, branded entertainment and digital. Lisa was elected Harley Procter Marketer by the company’s top management. Those selected for this lifetime honor are recognized as the select few individuals (less than 10 out of 5000+ marketers) who exemplify the highest standards of marketing at P&G. She has extensive global experience with assignments in Asia, Western Europe and North America. She has a BA from Colgate University, an MBA in Marketing and Finance from Columbia University and has two children. She is an Adjunct Professor in the MBA program at University of Cincinnati. Lisa is head of the Marketing Committee for the Cincinnati Opera Board. 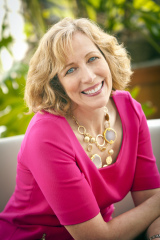 Lisa is a talented speaker and workshop leader both with featured keynotes at the American Marketing Association, Marketing Science Institute and the Edison Foundation. Morris: Before discussing Stragility, a few general questions. First, who has had the greatest influence on your personal growth? How so? Hillenbrand: It has taken a village, as they say! I have been blessed with wonderful mentors who have helped me grow throughout my career. Auster: For me, it has been the Exec MBA, MBA and PhD students I have had the pleasure of teaching. They bring a breadth of knowledge and practical challenges that spans diverse industries and regions of the world. They have prompted so many new lines of thinking and applications for me. Auster: In my very first job in a Food Distribution Center in New Jersey, I had a fabulous direct boss, but his boss (my senior boss) left a lot to be desired. So many brilliant ideas were squashed and lots of potential was wasted. I thought, “there has to be a better way and I’m going to go search that out.” That was one of the key catalysts that led me to this path of stakeholder inclusive approaches to strategic change and the pursuit of how to lead change so that everyone thrives and the organization wins again and again. Hillenbrand: I wish I could tell my 22-year old self that it is OK not to have it all figured out. My career took many twists and turns, all of which contributed in some way to what I do today. Auster: There’s the scene in Jerry Maguire where he writes this amazing mission statement about the importance of relationships in business and is all fired up to transform the organization. His bosses don’t get it and unfortunately for them, fire him. He carves a new path that aligns with his values and in the end wins in life. Those principles of the power of relationships, grit, and bouncing forward from setbacks are so vital. Hillenbrand: There’s a wonderful scene in Hitch where actor Will Smith sees a woman he’d like to get to know. He learns a lot about her from what she is wearing (glasses, low heals, business attire suggesting she was not there to meet guys); asking the bartender her usual drink (beer but tonight she’s having a mixed drink suggesting a tough day at work); and watching a clueless guy try to pick her up (and saving her from his advances). It is a humorous scene but illustrates the importance of taking the time to understand other people’s perspectives and needs – a critical skill in business and in life! Hillenbrand: I have to shamelessly plug my sister Laura Hillenbrand’s two books Seabiscuit and Unbroken. They both illustrate the power of perseverance even under seemingly impossible circumstances. Also how diverse people (and a horse!) can come together to create something none of them could have accomplished alone. Auster: One of my favorites is Frances Westley, Brenda Zimmerman, and Michael Patton’s book Getting to Maybe: How the World is Changed written almost a decade ago. That book and conversations with Brenda opened my eyes to complexity theory and concepts like “snap-back” when people revert to the status quo. This triggered my early thinking on proactively addressing the politics of change. Auster: That’s one of our favorite quotes, too. All change is people-powered. Without the input, ideas, passion and commitment of everyone, change fails. When we have the support, inspiration and engagement of the people – that’s when the organization wins and the people thrive. Hillenbrand: So many of us feel a sense of pride in our longing to do lists. In Stragility, we advocate changing LESS to accomplish more. We need to ruthlessly weed out the less significant projects in favor of the critical few that must be done, or else all the pretty good ones will choke the others like weeds in a garden. Steve Jobs famously narrowed Apple’s focus to two big projects – what became the Mac and the iPhone. If a huge company like Apple can do it, then so can we! Auster: Often leaders have the most brilliant strategies but they are unable to bring them to life because they lock and load and tell and sell. As a result, no one engages. In other words, even the best vision will be only a mirage unless we “go slow to go fast” and inspire, engage, and focus on execution. The only strategy a customer sees is the one we execute — so yes, it isn’t real until it starts having positive impacts on stakeholders. Hillenbrand: That speaks to my earlier point about ruthlessly prioritizing and stopping worthy, but less critical, projects to free up time for the truly game changing ones. Auster: We agree…there is lots of science behind the art of storytelling. Stories help people connect emotionally and intellectually, building the compelling why for any change. We advocate moving beyond a giant PowerPoint deck in order to build a business case that resonates with powerful stories that help people connect and see the importance of their role and of the change itself. Morris: Most change initiatives either fail or fall far short of original (perhaps unrealistic) expectations. More often than not, we see skeptics resist change, even change that appears to have a big organizational benefit. Here’s my question: How best to avoid or overcome such resistance? Auster: Often in our rush to get the changes implemented, we ignore the skeptics. Ignoring them makes it more likely that they will actively or passively resist the change. Often, however, skeptics have legitimate concerns that, if addressed, can turn them into advocates. In addition, engaging skeptics has many benefits. First, they can be catalysts for rethinking different aspects of the change to make it more successful. Second, addressing their issues often leads to their increased ownership and commitment as the change rolls out. Lastly, engaging them sends a powerful signal to the rest of the organization that constructive feedback is welcome. Hillenbrand: The greatest challenges CEOs face today and tomorrow are formulating winning strategies and getting them executed. So much of strategic change fails – 70% of changes are unsuccessful, leaving companies weaker and employees burnt out. The good news is that Stragility change skills can be learned and can become a company’s greatest competitive advantage. Morris: Now please shift your attention to Stragility. When and why did you decide to write it? Hillenbrand: In our consulting practice, and with Ellen teaching MBAs and Executive MBAs, we kept seeing people and organizations that struggle with change. We realized that there really were learnable skills that could help. However, no one had put them together into a practical, easy to apply approach aimed at practitioners. Morris: What are the defining characteristics of stragility? Auster: Stragility is our word for strategic, agile, people powered change. It is a set of four skills that greatly improve the odds that our changes will be successful. First is the ability to sense and shift our strategies instead of locking and loading. Think about Netflix vs. Blockbuster. Netflix shifted strategies with emerging technology, Blockbusters remained store-based and failed. Next is the ability to embrace our inner politician. Most people fear politics but ultimately politics is just a collection of people with differing needs. Understanding and addressing their needs and concerns is critical to any change. In the book, we offer tools and strategies for enrolling and gaining the support of sponsors and promoters, as well as strategies for gaining the beneficial insights from skeptics that can often prevent change from derailing. Hillenbrand: Yes, these two are critical foundational skills. The other two are the ability to inspire and engage an organization – through mantras, stories, an easy to understand case for change, and a plan to build shared ownership. Finally, there’s what we call change fitness – to avoid organizational burnout we need to prioritize and sunset projects where we can, and test new solutions. And personally, we need keep ourselves change fit through rest, diet, walking meetings, and taking our vacations! Morris: How best to develop organizational stragility? Hillenbrand: As the old saw goes, “What’s the best way to get to Carnegie Hall? PRACTICE, PRACTICE, PRACTICE.” That’s the secret to mastering these skills too. Stragility contains diagnostic and implementation tools to help you get started and master them. Morris: You make brilliant use of micro-case studies that focus on a variety of situations. For those who have not as yet read the book, please suggest what you view as the most important point or key take-away in each of these? Hillenbrand: I recently heard Roger Federer speak. He talked about the skills he uses to win tennis tournaments. After suffering a losing set, he takes a minute to reflect on what needs to change. Is his strategy wrong – coming to net vs. base line for example – or is his execution not working – his second serve keeps going long? Based on his assessment, he shifts both strategy and execution as needed to come back stronger in the next set. We all need to cultivate these same skills in business. Auster: Macy’s CEO,Terry Lundgren, has successfully steered Macy’s through a decade of growth by sensing and shifting strategies to delight customers. They’ve tailored offerings to each store, focused on developing employee’s selling skills, and increasingly become good at embracing new channels – like mobile and digital sales. We advocate that all organizations, big and small, sense and shift strategies to better serve customers and deliver their missions. Auster: This is a great example of a start-up that had to morph quickly and adeptly to achieve their mission of helping disadvantaged children around the world. What’s even more remarkable about this story is that the engine of growth for Free the Children is children. Founders Craig and Mark Kielburger (who themselves started the organization in their home garage as kids) have invented innovative new business models that challenge much of the conventional thinking about how international development should be done. They’ve expanded their strategy from education to include health, water, and sustainable entrepreneurship. They’ve created a sister for-profit organization to ensure that more donation funds go directly to the disadvantaged. Most recently, they stepped away from a competitive model to a collaborative approach with other NGO’s in the same space. Craig and Mark are brilliant strategists and powerful role models for how to mobilize and inspire. Hillenbrand: In his first week as President of KFC, David Novak faced a national meeting full of angry franchisees. Business was soft and they were furious. Instead of getting defensive, Novak began the meeting by reminding everyone of their shared purpose and mission and then listened to concerns. Then he divided the group into break out sessions, each with the task of imagining that they were President of KFC, and coming up with an action plan. The groups came back with three things: improve quality, train people, and launch new menu items. And that’s what they did. In the process they got back to growing. It is a great example of managing the politics and emotions of change. Morris: For more than 30 years, it has been my great pleasure as well as privilege to work closely with the owner/CEOs of hundreds of small companies, those with $20-million or less in annual sales. In your opinion, of all the material you provide in Stragility, which do you think will be of greatest value to leaders in small companies? Please explain. Hillenbrand: Change is often harder for entrepreneurs and small businesses – you’re frequently competing against big, well-funded organizations, the environment is constantly shifting, yet you have little slack and tight budgets. The good news is that Stragility skills work whether you are in a big or a small company, and whether you’re the CEO, a mid level manager, or a front line employee. One of our favorite stories in the book is a change led by one person that has been embraced globally. John Donne once said that no man is an island – but in this story there really was a man leading an island! Soren Hermansen led a project to transform a Danish island into the first 100% renewable-energy powered island. His only “staff” was his wife Malene. And he faced a high degree of skepticism that this was a hippy project with vague promises of a healthier planet that people couldn’t relate to. His solution was coffee and beer diplomacy with opinion leaders in different groups, and figuring out how this change would benefit them. For example, farmers would have a new crop – elephant grass to provide biomass for the new power plants; plumbers would have new jobs servicing heat pumps; and homeowners would be assisted by government incentives. Hermansen’s home became the first 100% renewable island in the world and now teaches others how to do it! Morris: Beyond buying the book, how can businesses get started applying Stragility? Auster: We offer Stragility keynote speeches, one on one consulting, and team workshops. We hope people will contact us and let us know how specifically we could be of assistance. Ellen and Lisa cordially invite you to check out the resources at their website. Here’s the link.